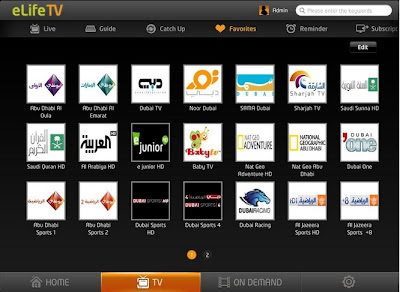 UAE's telecom company Etisalat has released its new app eLife TV app. It is a live TV streaming application for iPads and PC's. With this app user can watch more than 150 live TV channels on their iPad or personal computer. Also user can use rented on demand movies service with this app. Other feature of this app is user can tweet and post favorite programs on their facebook page and share to their friends easily. Etisalat's eLife TV app now available for free from Apple's UAE iTunes app store. next concern was regarding set-up fees and assembly.